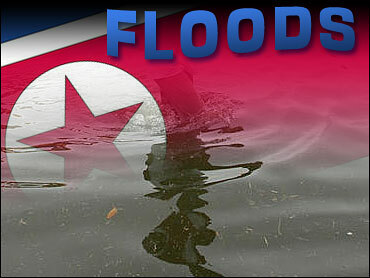 More than 100 people are dead or missing in North Korea due to floods and landslides, an aid group operating in the communist nation said. The International Federation of Red Cross And Red Crescent Societies said in a statement that heavy rains last week and this week had caused flash floods that totally or partially destroyed 11,524 houses, leaving more than 9,000 families homeless. More than 100 people were dead or missing, the group said, without giving further details on casualties. The damage has cut off telephone connections, making collecting reliable information difficult, the federation said. The North's official media has reported on the heavy weather affecting the country, but not mentioned any damage or casualties. The federation said the heavy weather could also affect the country's food supply — critical to the country that suffered famine in the 1990s due to natural disasters and outdated farming technology believed to have killed as many as 2 million people. "Extensive areas of arable fields have been inundated, wiping out much of the anticipated harvest," the federation said. To cope with the disaster, the federation was providing blankets, kitchen sets, plastic sheeting, water containers and purification tablets from pre-positioned stocks to 9,934 families whose homes were destroyed. The group also said it was considering launching an international emergency appeal. South Korea has also suffered from the effects of the downpour on the peninsula, which has led to at least 25 deaths as of Wednesday, according to the South's Yonhap news agency.